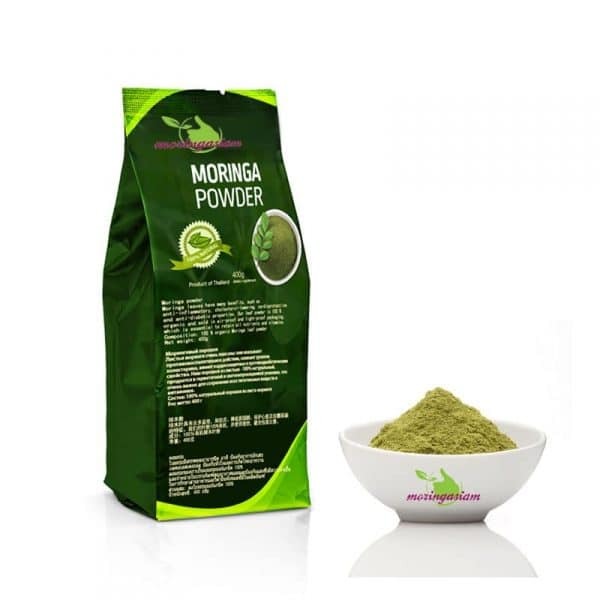 Our Moringa powder treatment is the most economical way to enjoy the benefits of Moringa. 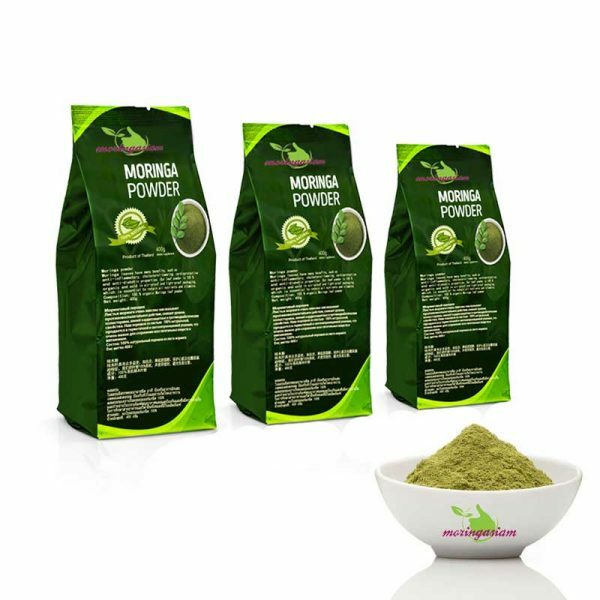 It provides you with between 3 and 5g of Moringa per day for the chosen duration. In addition, you will get respectively 10 and 15% discount for 3 and 6 months of treatment. 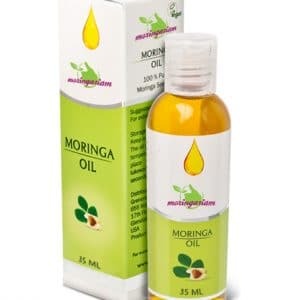 The moringa Oleifera, also known as the tree of life, has been used in traditional Indian medicine for thousands of years to cure about 300 diseases. Leaves, and their many beneficial properties, are increasingly consumed, especially in powder form. 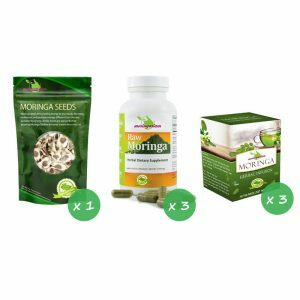 It is customary to indicate some elements of comparison on the content of vitamins, nutrients, and other components of Moringa leaves. 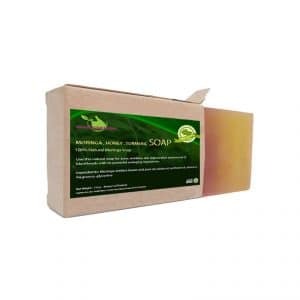 These properties and its many nutrients are very useful to the body, for example, vitamin A is essential to prevent various diseases that may be related to the eyes and skin. Vitamin C can be consumed in winter to fight diseases such as influenza. Moringa powder contains vitamins B, B1,B2,B3,B5,B6,B12,C,D,E and K ! Calcium is an excellent ally for the strength of bones and teeth, and potassium is essential for the functioning of neurons. In addition, moringa powder contains a high proportion of proteins, essential for the development of muscle tissue. 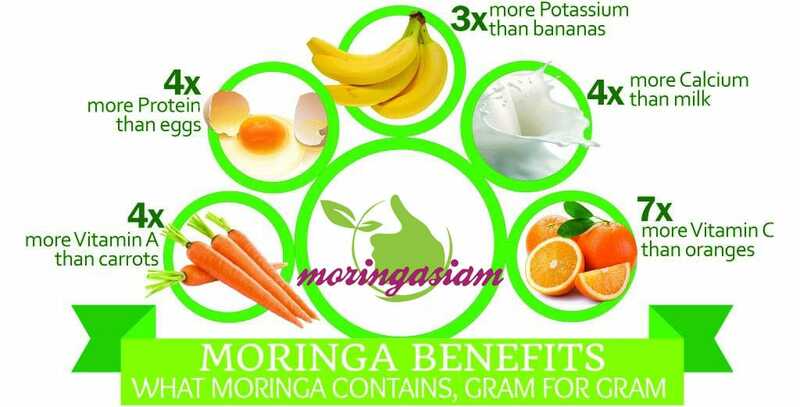 Moringa also contains amino acids, including the 9 essential ones. Idéal pour ajouter dans potages ou salades. trop tôt pour donner une opinion, je commence seulement à l’utiliser. bon produit, bons résultats, énergie optimisée, surtout le matin après. 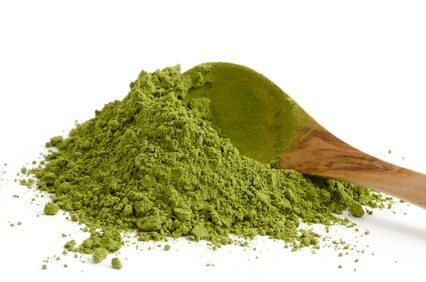 Pour ma part j’ajoute la poudre de Moringa dans le café ou dans le thé, le goût n’est pas désagréable. L’effet s’estompe dans l’après-midi.